June's Birchbox was devoted to products that indulge our inner jet-setter. I was pretty excited when I received my Birchbox this month, considering that I will be traveling this summer. Where will you be traveling this summer? Stila Stay All Day 10-in-1 HD Beauty Balm: The epitome of a multitasker, this luxurious balm primes, moisturizers, and perfects skin in a single step. Peptides and moisturizing microspheres help wrinkles look less visible and reduces their depth over time. An exclusive color-correcting complex hides redness, while mattifiers zap excess oil and shrink the look of pores. Finally, antioxidants keep skin protected from free radical damage. My thoughts: I love that this beauty balm is a 10-in-1 product, because I could really use a skin care routine that involves less products! This beauty balm is definitely a multitasker—it moisturizes, primes, mattifies, and conceals. Would I purchase this beauty balm? Yes! 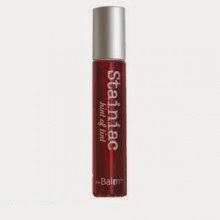 TheBalm Stainiac in "Beauty Queen": The tinted gel leaves a lasting stain on lips and cheeks. Since it’s water-based, it has a longer setting time than most quick-dry stains, which means it won’t leave any unsightly streaks behind as long as you take care to blend well. Use a single coat for a subtle look or layer it on for a more visible (yet still discreet) hue. My thoughts: I prefer using lip stains over lipsticks and lip glosses. Although I have tried better lip stains, I do like this one. Because this lip stain is a gel, it feels a bit weird during application, but it blends very well and leaves a pretty, subtle hue. Would I purchase this lip stain? Yes. 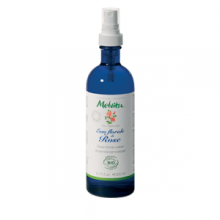 Melvita Floral Water in "Rose": Each of Melvita’s Floral Waters uses healing natural extracts to refresh and soothe skin. Lavender keeps normal and combination skin balanced and protected, while Rose is ideal for sensitive or prematurely aging complexions. Loaded with vitamin C, Orange Blossom energizes dull skin and evens out any blotchiness. All three smell divine. My thoughts: This rose water spray is perfect for refreshing the skin. I enjoy the slightly cooling sensation that lingers. I also like the invigorating, light floral scent. I have very sensitive skin, and this spray is non-irritating. Would I purchase this rose water spray? Maybe. Juliette Has a Gun Not a Perfume: Even if you’ve never heard of Cetalox, you’ve undoubtedly picked up its scent. Used as a back note in thousands of fragrances, Cetalox (a synthetic substitute for grey amber) takes center stage in Not a Perfume. The result is clean and pure, as well as being allergen-free. My thoughts: Because this perfume contains only a single note, it is a little too minimalistic for my liking. The find the scent to be quite plain—I'm not even sure how to describe it. Let us not forget that I am very picky when it comes to perfume! Would I purchase this perfume? No. 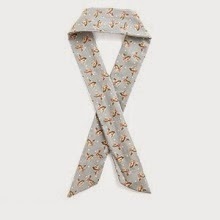 Modcloth Green Deer Headband: These fabric-covered headbands come in three fun varieties—a red polka dot pattern that’s a little Marilyn Monroe and a little Betty Boop, and a cute deer print with a light blue or green background. You can’t go wrong—in fact, you might need all three. My thoughts: I love wearing this headband around the house. Although I do not typically wear headbands, I do wear them around the house to keep my hair out of my face. I get headaches very easily from wearing any type of hair accessory. However, this headband is one of the few that does not! I like that you can adjust it to your comfort. I forget that I even have it on! Would I purchase this headband? Yes! I also received a coupon code (MODVENTURE) for $10 off any $75+ order at modcloth.com. - valid 6/1 - 7/10! Great review!!! :) Wow! I really want a banner like urs... how did you make it? & for the tabs above how do you separate your beauty and fashion posts? Thank you! I made my banner using Paint and GIMP 2, which is very similar to Photoshop. I found beautiful art work that I fell in love with, and pasted it onto a blank image opened in Paint, which I had made a specific size for my banner. I saved that. 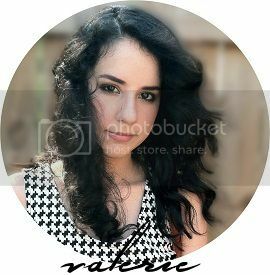 Then, I opened that image into GIMP 2 and simply typed my signature title onto that image using two separate fonts (one being a font that I downloaded), dragging one font onto the other. So, I typed the two words "Beauty" and "FASH" separately and dragged "Beauty" onto "FASH." Lastly, I added the quote under the title. As for the tabs, label each post to whichever tab you want that post to fall under. To create a label - when you create a new post, "Labels" is on the right side of the page under "Post settings." Type in what you want that post to be labeled as, such as "Beauty," and publish the post. You can go back to your previous posts by editing them and adding in labels by doing the same exact thing. Once you have your labels, go to "Layout" and click "Add a Gadget." Add the "Labels" gadget, customize that to your liking, and place it wherever you would like it to be. Once you have your labels, you'll have the links that you need. Go to your blog page and scroll to your labels. Click on the label you want to create a tab for and copy that link. Go to "Pages." Go to "New Page" and then "Web address." Where it says "Page title," enter the title of what you want your tab to be titled as, and paste the link into where it says "Web address (URL)." Save that, and you have your new tab! Anything you label with the same label will automatically go to that tab. To add a new tab, repeat the process by clicking on a different label on your blog page, such as "Fashion." Thank you so much Valerie, for taking the time to write an explanation for me! This really helps! I am going to try this today! You got really great stuff! That lip stain seems like a really great product! I sure did this month! I love my June box! looks like you got some pretty good products this month!! Stila is a great brand! What an awesome box! I might have to try that Stila primer. I need something to help my wrinkles (the ones that are slowly starting to show) go away! !